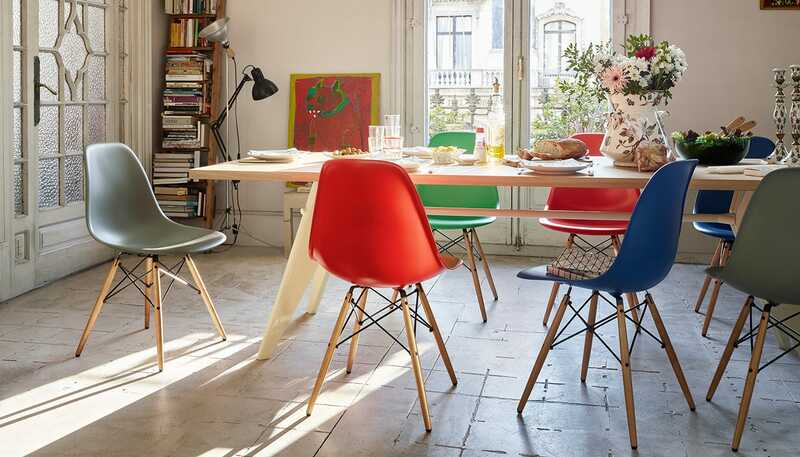 Epitomising the playful, functionality of mid-century American design, the DSW Chair by Charles and Ray Eames feels as fresh today as when it was first introduced over 60 years ago. 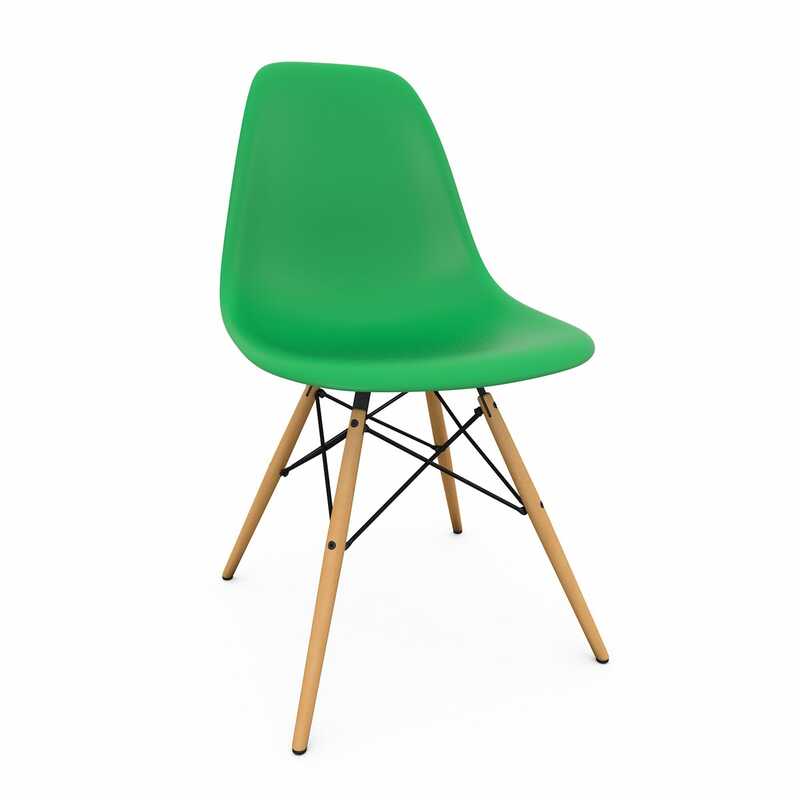 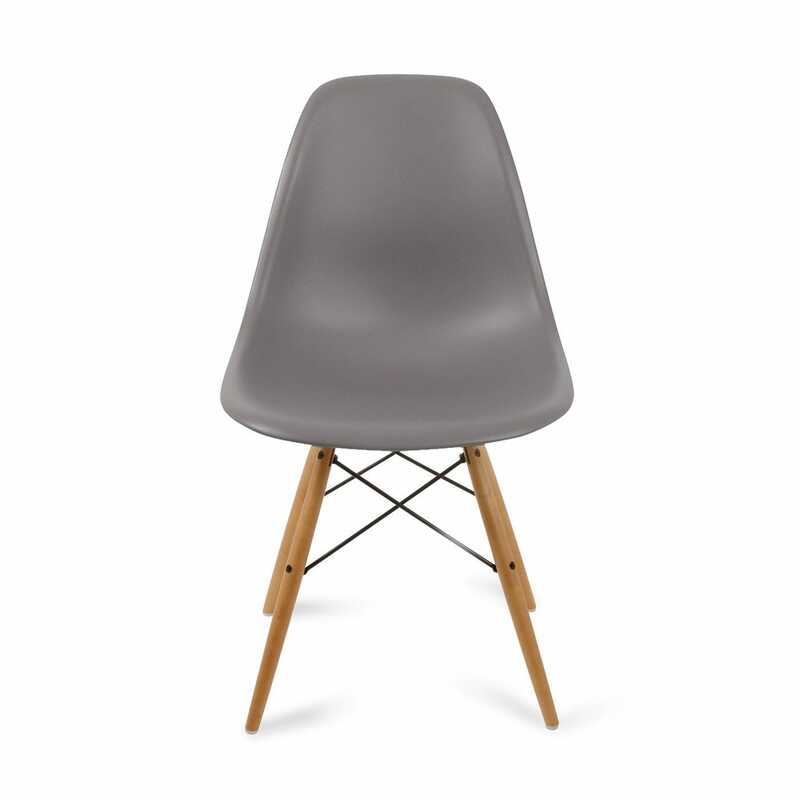 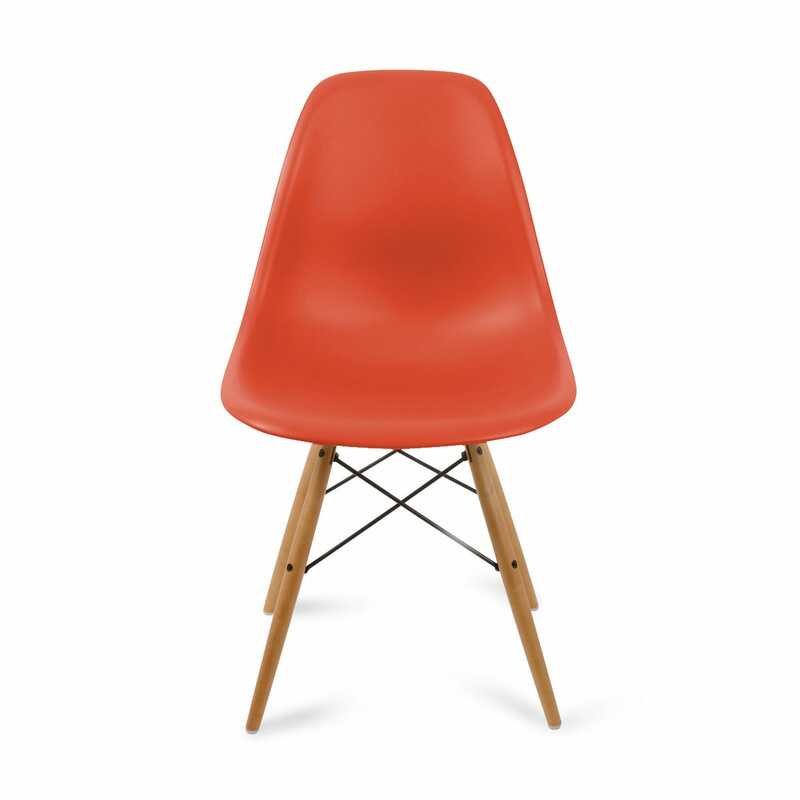 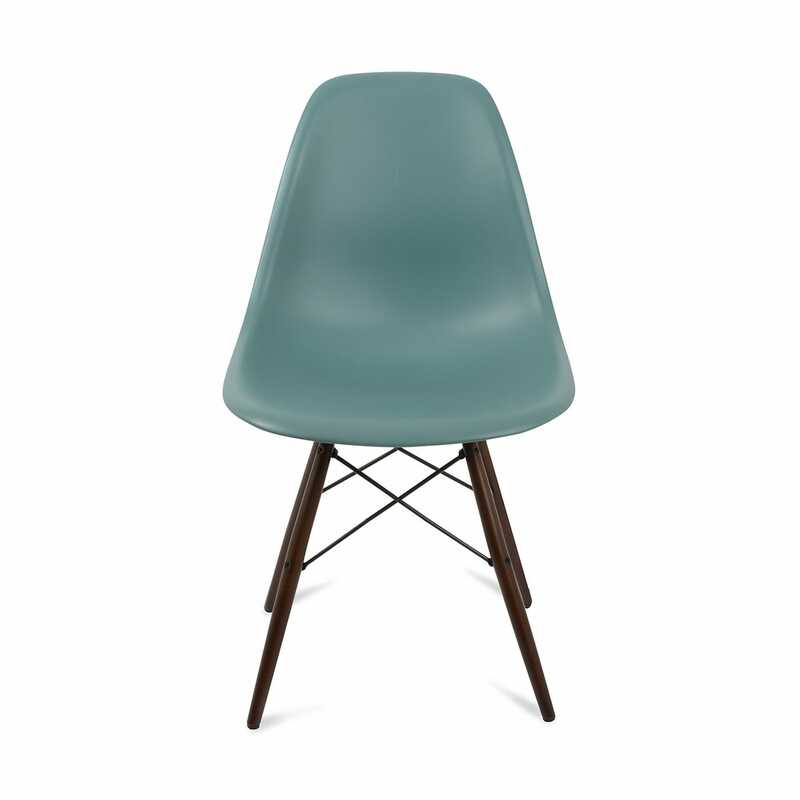 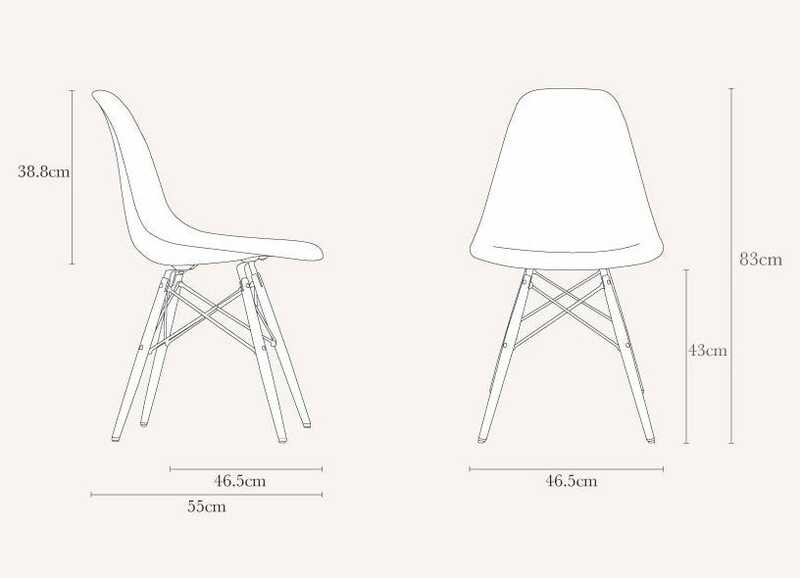 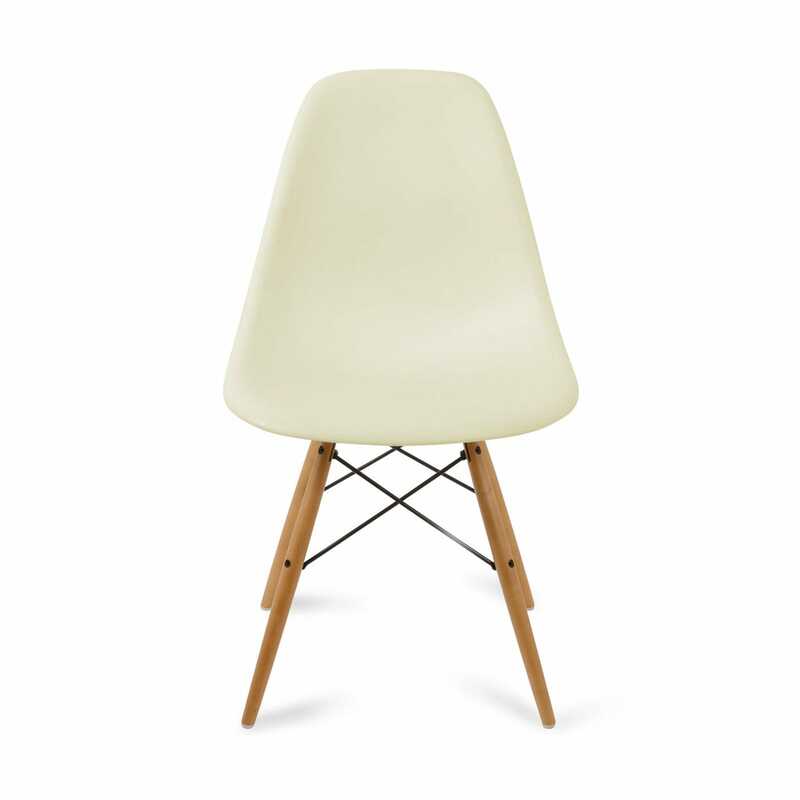 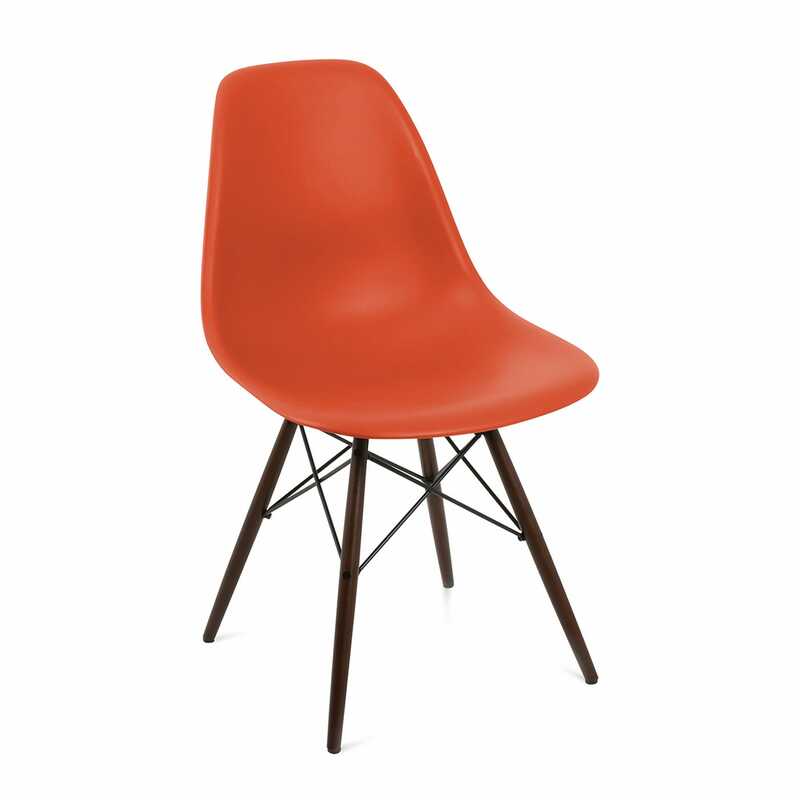 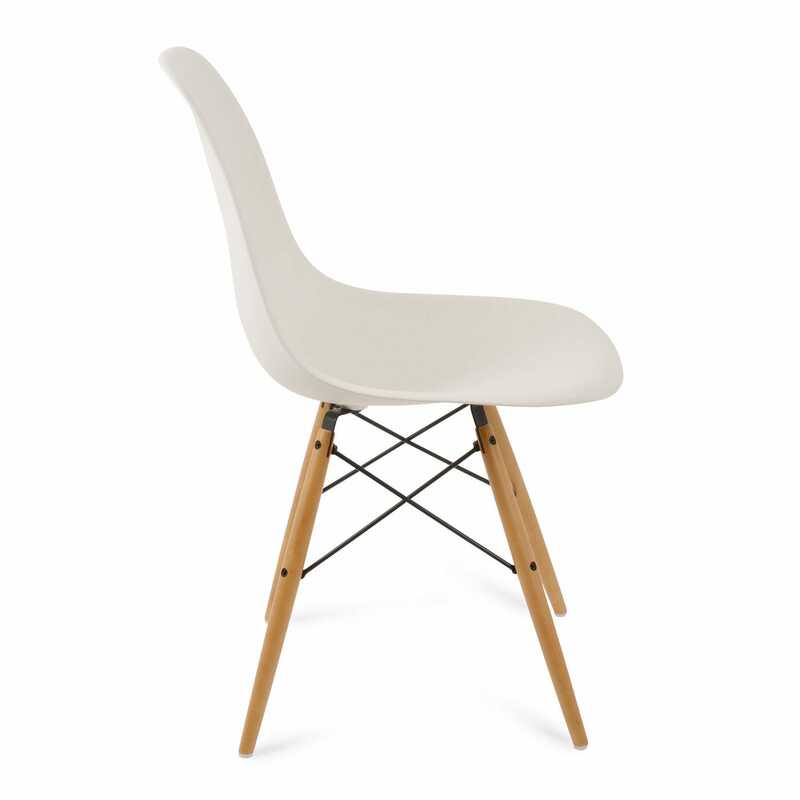 A wonderfully crafted, and fully licensed edition by Vitra, this reproduction adheres strictly to the Eames original design, the only change being the replacement of fibreglass shell for a more environmentally friendly, not to mention hard-wearing, polypropylene seat. The organic seat, or “shell” as it’s often referred to, has a curvaceous, organic form that allows for a comfortable sit while still providing firm posture support. 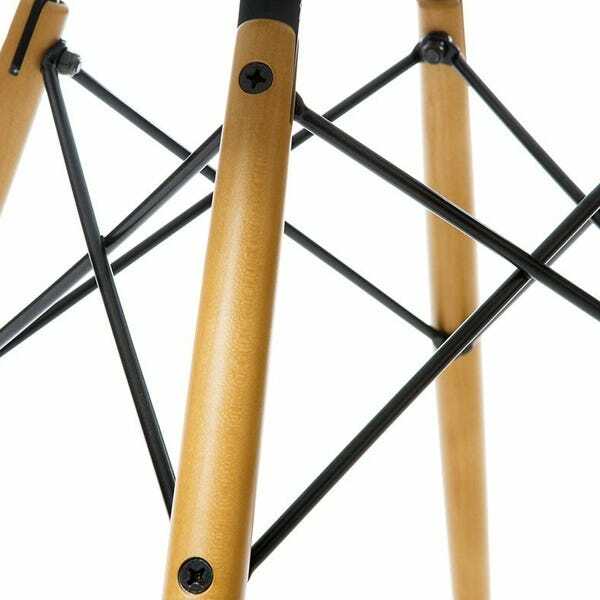 On the base, spindly maple legs, available in a range of dark or light finishes, form to create diagonal arches attached via durable steel supports. 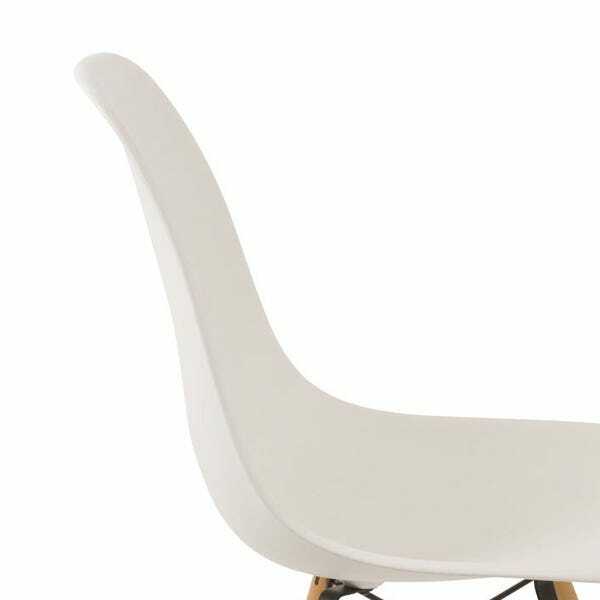 Curvaceous, organic form of the seat allows for a comfortable sit whilst providing firm support. 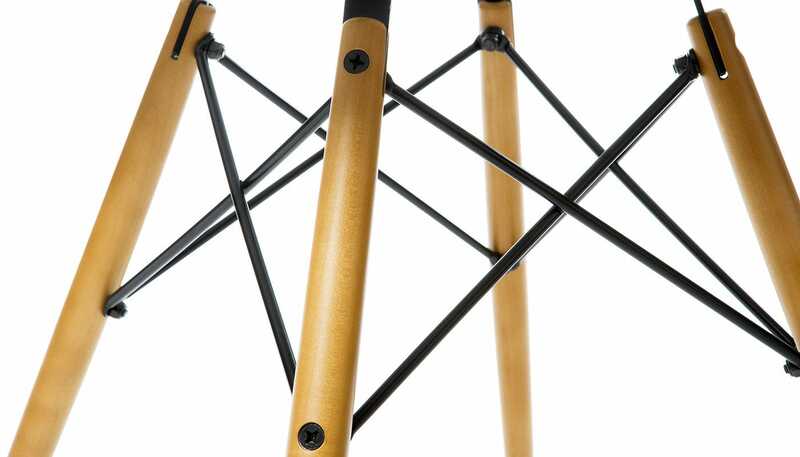 Maple legs supported by steel supports create a sturdy base to the chair. 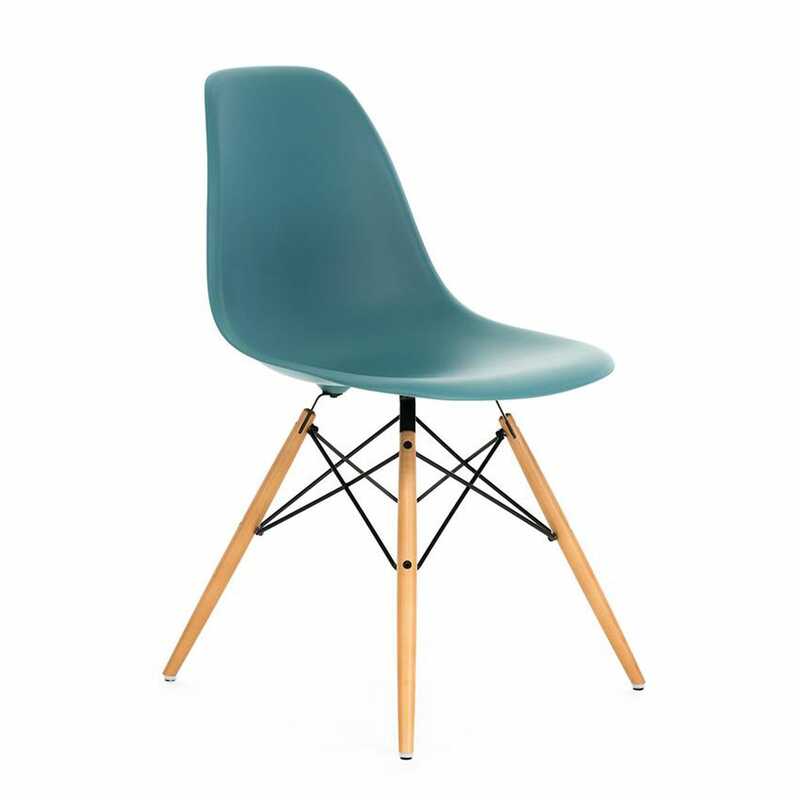 Maple legs available in two finishes, matched with a variety of seat colours. 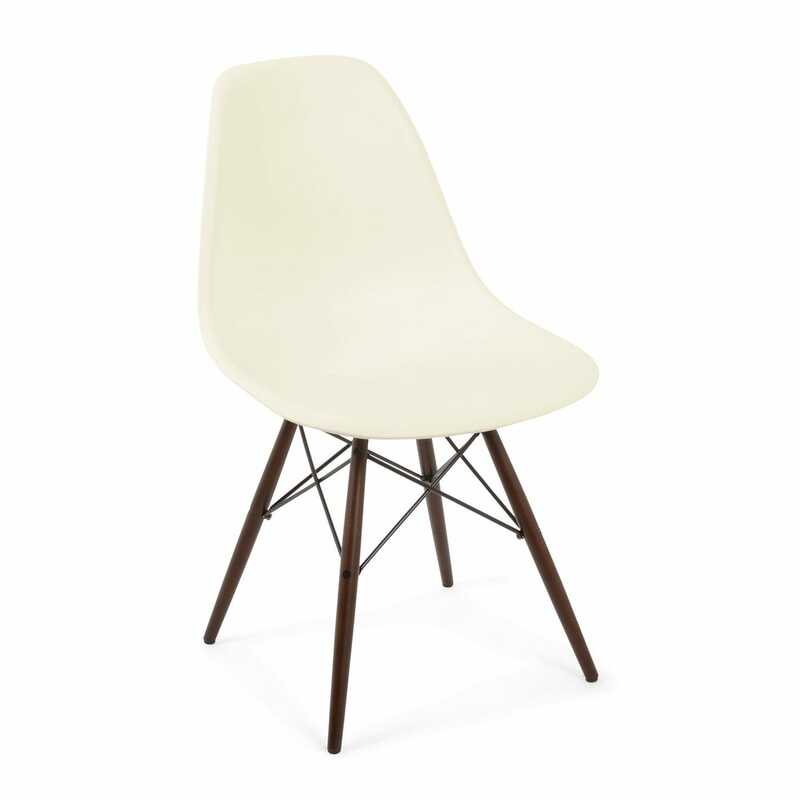 Additional Eames chair to add to others we already have around our dining table. 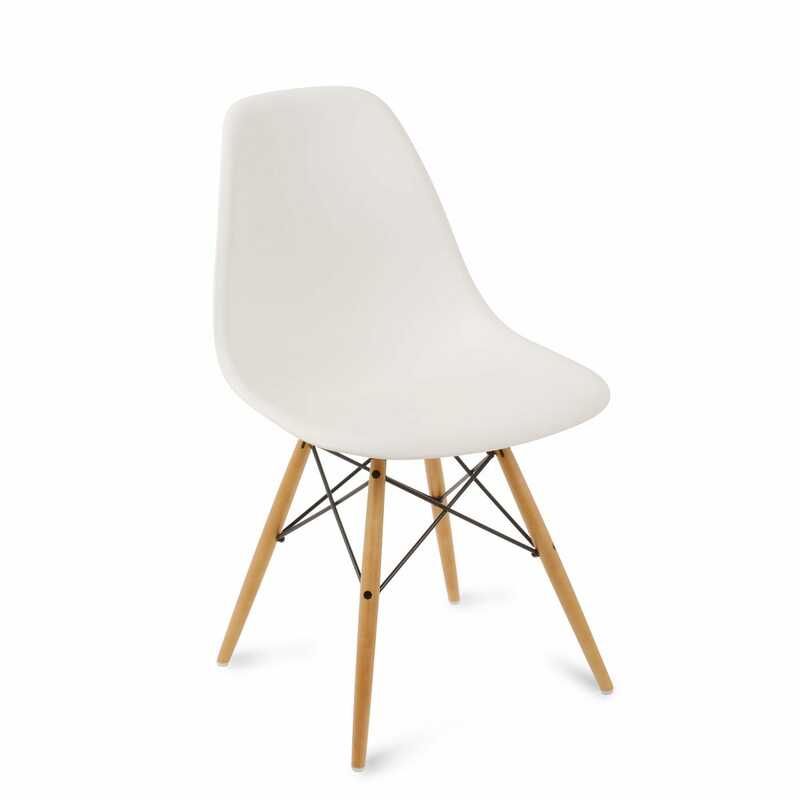 Lovely comfortable chair and a design classic, fantastic. 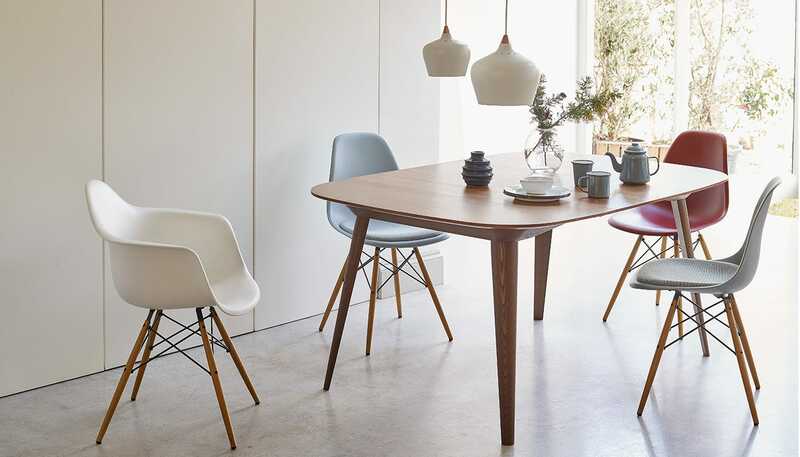 Lovely chairs, beautifully made and super comfortable. 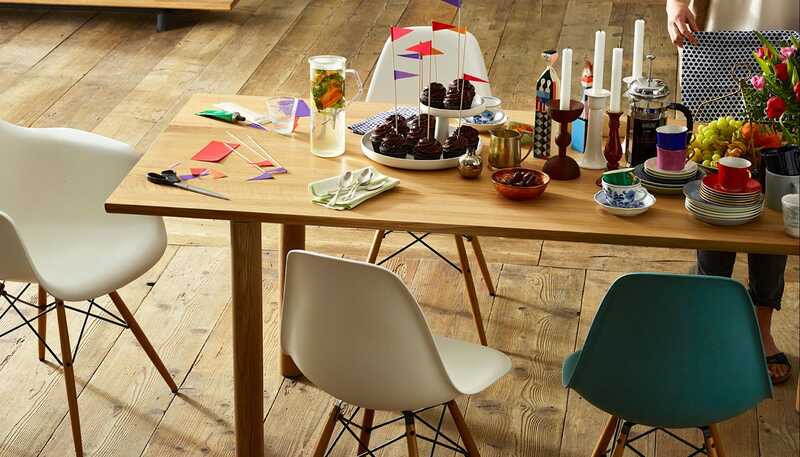 Look good and are very comfortable. 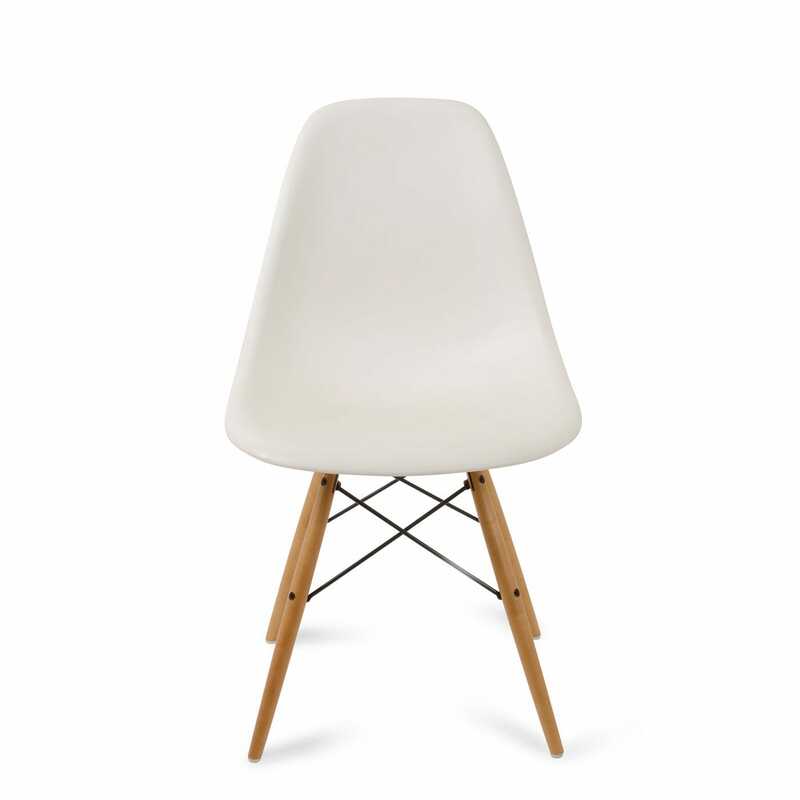 As seen. 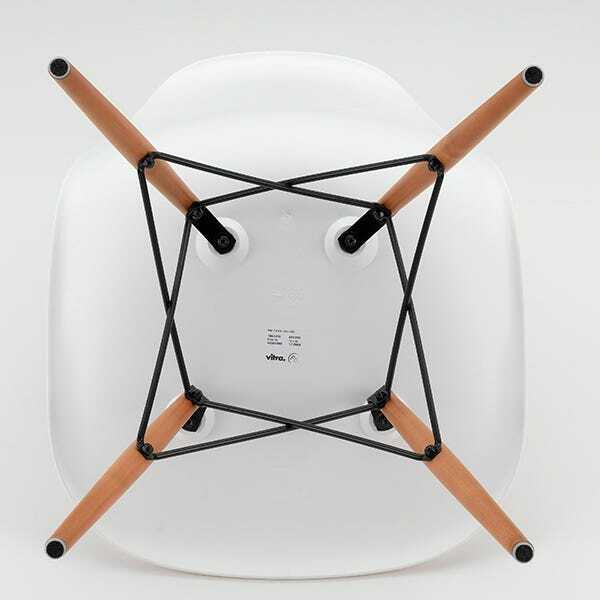 It ws ls no more than expected snd no worse. .
Great design and fantastic build quality.